Ginny sat down at the Gryffindor table and waited for Hermione to join her. She knew she just had potions so it could take a while. She started to eat some while she waited.
" Ginevra!" She turned around to find the voice&apos;s owner, but she did recognize it. " Hey Seamus!" She said gladly. " Me and Dean have the funniest story ever to tell you!" Seamus said proudly.
" You didn&apos;t blow anything up this time?" Ginny guessed. " Um....we&apos;ll come to that later" Seamus said.
" Hermione was awesome at potions" Dean said. " Everyone knows she&apos;s good at it" Ginny said.
" It&apos;s not that" Seamus said. " Malfoy&apos;s little mini-malfoys met Hermione&apos;s knee during the lesson!" " And he screamed like hell" Dean laughed. " Oh Mione" Ginny chuckled. " She&apos;s like a puma" Seamus said.
" Can&apos;t believe why she and Ron broke up" Dean said and looked at Ginny, hoping that she had the answer.
" You have to ask Hermione about that" Ginny said. " Ask Hermione about what?" 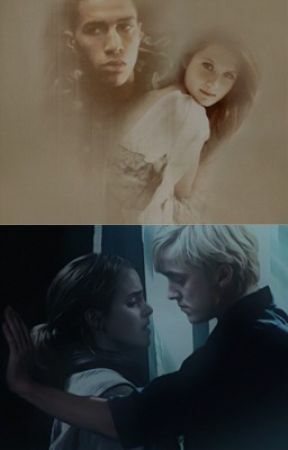 Ginny smiled when she saw the other person.
" Hey Nev" Dean said. " How was Herbology?" Seamus wondered. " It was fun. It would be fun to work with Herbology after Hogwarts. 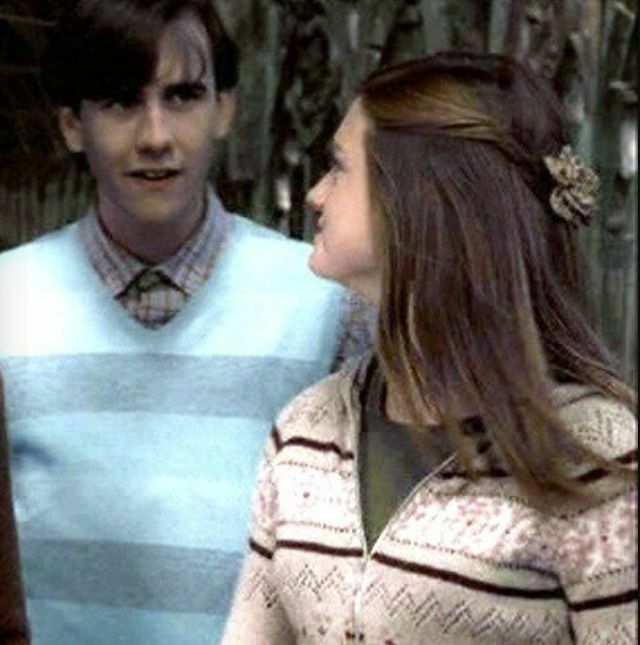 But I don&apos;t think I can do it"
Ginny almost flew up from her seat and grabbed Neville&apos;s collar.
" Of course you can! You helped me with the D.A, you joined D.A, you killed a freaking snake with Godric Gryffindor&apos;s sword!" Neville could only nod, he didn&apos;t dare to say anything.
" You have found the courage that was hidden inside you for so long. Now when you have it, you will never lose it"
All the guys just stared at her and was stunned. They knew Ginny was a very determind girl, but this, wow she could talk. " Okay, thanks. I guess. I will definitley try for it" Neville said at last.
" That&apos;s good. By the way did you hear what Hermione did to Malfoy? Seamus said that....."
And so she kept talking. But she had no idea that the guy who she just punched in the face, was sitting two tables away, staring at the Gryffindors. His blood was boiling and he felt very frusterated. He didn&apos;t know if he had competion now, but he would make sure he hadn&apos;t.
The other guy was NOT what his redheaded girl needed. She was his.